As a result, armed guards have been hired and “lock down” policies have been put into effect with audio/video security systems linked to local law enforcement becoming the norm. Today, with the advent of the world-wide web as a resource you can identify and access several organizations that can provide a plethora of data and tools related to fire danger. You’ll find diverse multi-media campaigns and a vast number of materials specifically designed to assist in teaching our children how to be aware of fire danger, recognize unsafe conditions and/or warning signs, report potential problems, and react to school fires. On one website alone you will find special grants and awards, teaching strategies, the latest in Educational Fire Prevention newsletters, Read for Fire Safety Programs with free storybook apps, e-books, fire safety educational messages, a Public Education Network, and Sparky the Fire House Dog, all meant to provide educators the tools necessary to impart their safety message. Compared to that, what focus is there on the buildings themselves… not much. Yet, there’s an insidious problem with the ability to threaten our children’s health and safety present on nearly every school campus without regard to any demographic, i. e. public or private, urban or suburban, pre-school through collegiate. What is this problem? Missing or inaccurately installed firestopping. 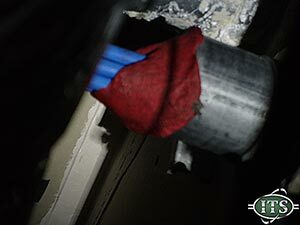 Firestopping is the process of restoring an hourly fire rating back to a fire barrier that has lost its rating due to an opening created in it. And, undeniably considered the most misapplied and misunderstood segment of the Life Safety Code. As you read this, chances are there’s someone in your building accessing one of your firewalls without knowledge or regard to either the Fire or Safety Code. In addition, firestop products are highly dependent on both the selection of the proper design and appropriate installation for their success in an actual fire. For instance, far too often when you do find the appropriately compliant sleeve or pathway device installed, its filled well over the allowed capacity. It’s not uncommon to find sub-contractors still using a non-compliant “putty,” or foaming product, purchased from the local home improvement retailer in a firewall. Restoring the firestop isn’t enough, you must also restore the smoke seal. Using the latest available data from the National Fire Inciden Reporting System (NFIRS) database, the average annual national fire loss from school property fires was estimated at $84.6 million. Those losses were the result of an estimated annual average of 10,300 school property fires requiring a fire department response and caused an estimated annual average of 75 injuries and 5 fatalities. Few outside our industry realize the implications to smoke alone: It takes only 3 minutes for a 20 x 20 room to completely fill with smoke through a pencil sized penetration traveling up to 50’/min in a developing fire and up top 300’/min in a fully engaged fire (ICBO-UL Smoke Mgmt. Data). 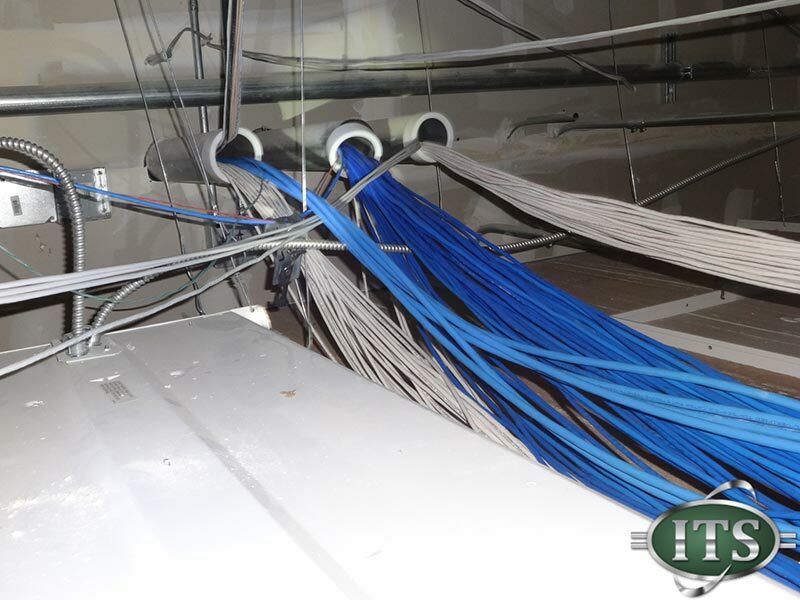 As a full service consulting, design and project management firm having successfully managed and implemented projects ranging from $15,000 to $635 million, Information Technology Solutions teams have seen an alarming number of non-compliant penetrations attributed to various contractor trades (plumbing, electrical, voice, data, security) and self-performing work – nearly all completed without a barrier management program in place. At ITS, our project managers are certified specialists trained by leading industry experts in the firestop and barrier management field. 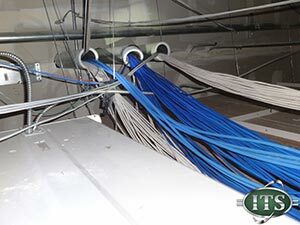 As such, ITS is uniquely positioned to educate their clients on the fundamentals necessary to train, inspect or supervise the firestopping installations of others and develop a barrier management plan best suited to the organization. Thankfully, awareness and knowledge of firestopping in other professions and industries is spreading largely due to the efforts of organizations such as the International Firestop Council and the National Fire Prevention Association - as well as others whose mission it is to educate and support those of us in the many consulting, project management and inspection fields. To ensure a properly designed and maintained system, begin to establish a proactive process for identifying the existing conditions, managing the deficiencies, design and initiate an improvement plan and implement your organization’s criteria for maintaining the long term viability and integrity of your program whether the work is contactor or self-performed. Be certain you obtain the industry expertise you need to ensure a thorough and complete turn-key system that will work well for the future as well as your present. With the constant pressure to comply with new state and federal educational standards, school budgets have been stretched to the max and are often reliant upon bonds and special E-Rate funding to meet mandated standards and criteria leaving little for what may at the time be considered a non-priority. However, there are other ways and means to develop and establish an effective barrier management program. Regardless of how and to whom the violation or exposure is identified and reported, it is incumbent upon that individual to step forward and inform their leadership. And throughout the years, whatever the industry or subject matter, as consumers we’ve seen time and again that funding sources are often found or made available for whatever the leadership has deemed a priority. Whether to protect our children, or others entrusted to our care (perhaps yourself, personnel and the public) from a fire related incident, the problem must be addressed. We dare not wait until a tragedy whereby a smoke or fire event that was entirely preventable puts this issue on the front page. And far wiser to be proactive than find yourself thrust into the position of having to explain to a board and/or the media following an incident (or during the investigation) how long you may have known about the existing conditions but choose to set aside (withhold) or defer any action. Your existing conditions are an open invitation to potential property damage, loss of facility use, adverse health effects, up to, and including, loss of life and public trust, with highly probable costly and long term litigation. There is good news. And that is, that straightforward and approved immediate and long term solutions exist and are only an email or phone call away from being customized to suit your organizational needs.